Toni Greaves’ Radical Love: A look at a young woman’s life in a cloistered monastery (PHOTOS). March 4, 2008. Sister Lauren, age 22, praying. The nuns observe perpetual rosary, with someone praying in the choir room 24 hours a day. In 2008, Toni Greaves went to the Dominican Monastery of Our Lady of the Rosary in Summit, New Jersey, to document what life was like there. But she quickly discovered something much more unique than her assignment. Roughly three weeks earlier, Sister Lauren, then 21, had entered the monastery after hearing God propose to her via a song on YouTube, leaving behind a boyfriend whom she’d planned on marrying. Greaves would return many times over the next seven years, focusing on Sister Lauren’s path from layperson to nun, from her initial commitment to God in a Clothing Ceremony through her Solemn Profession. The photos appear in Greaves’ new book, Radical Love, which was published this week by Chronicle Books. When Pope Francis arrived in New York City on Thursday, it was one of the books waiting for him in his room. March 15, 2008. Community is an important part of monastic life. Sister Maria of the Cross (back, center), age 71, laughs during a celebratory community dinner. April 6, 2008. 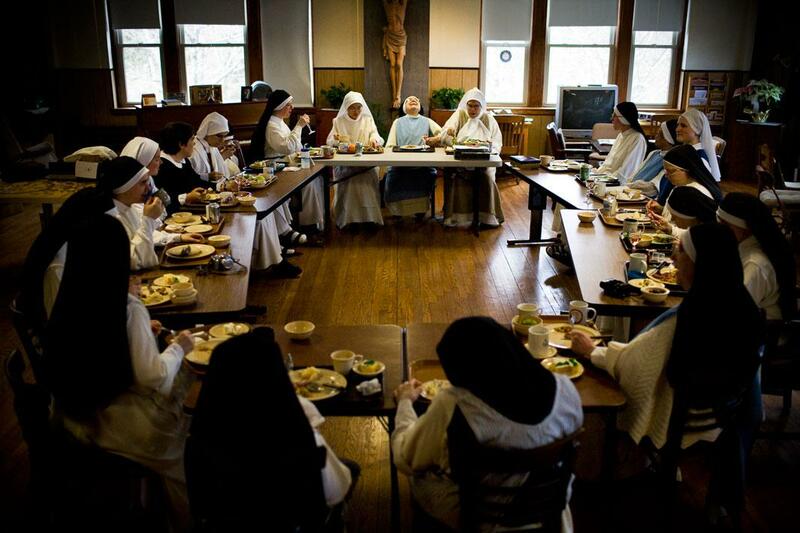 The young nuns chat with 84-year-old Sister Mary Ellen Timothy (top left). Nov. 1, 2008. 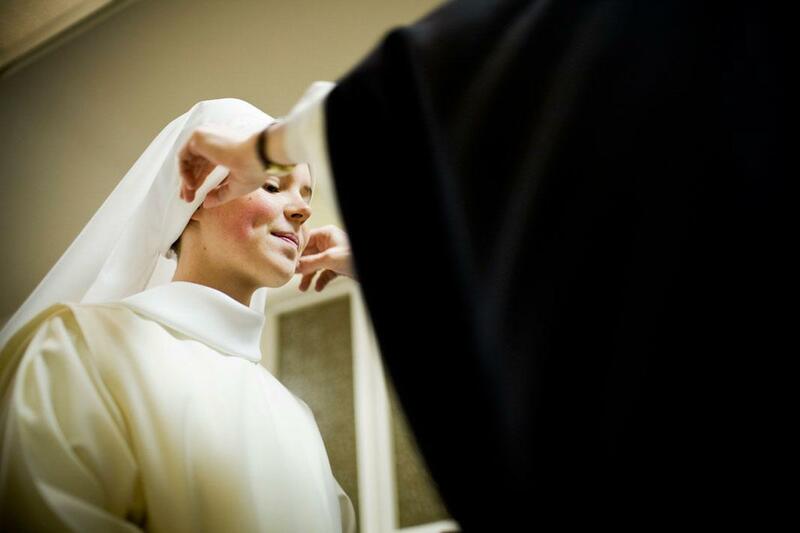 Sister Lauren, 22, receives her white veil (fitted by Sister Mary Martin, Prioress) in her Clothing Ceremony, which is similar to an engagement to God. 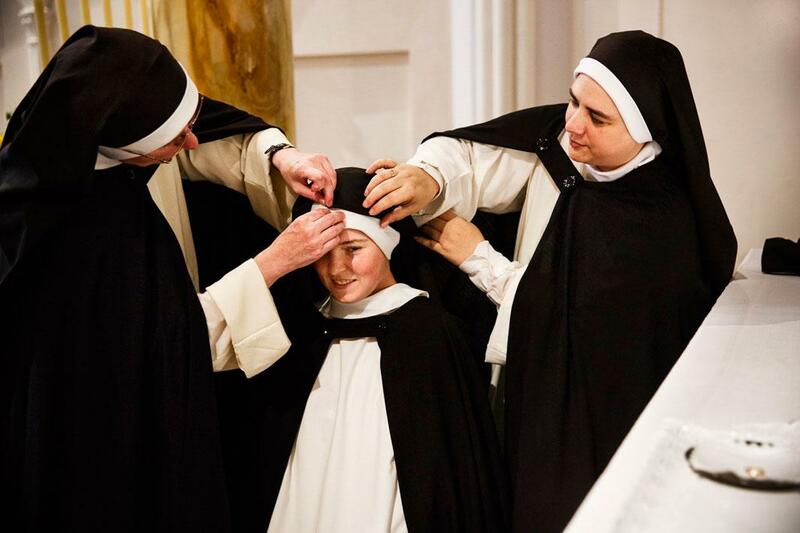 Within this ceremony she receives the Dominican habit, and takes a new holy name of her choosing: Sister Maria Teresa of the Sacred Heart. Oct. 22, 2010. Sister Maria Teresa rehearses prostrating in preparation for her First Profession ceremony the next morning. First Profession is part one of two ritual ceremonies that will seal her commitment to God. Her Final Profession will happen roughly three years later. November 9, 2013. 27-year-old Sister Maria Teresa tends to her cleaning chores. Silent prayer is incorporated into every part of daily life, including chores. July 4, 2014. 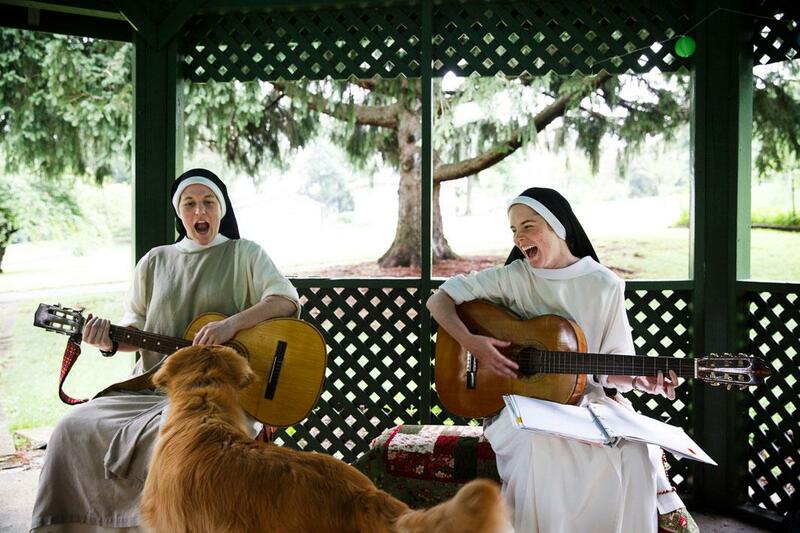 Sister Mary Magdalene (left) and Sister Maria Teresa (right) sing “The Eagle Song” as Sabina the monastery dog watches on. Although the work is centered around Sister Lauren and highlights a radically different life many readers might not understand, the universality of the human experience is something Greaves hopes the images convey. Sept. 5, 2014. 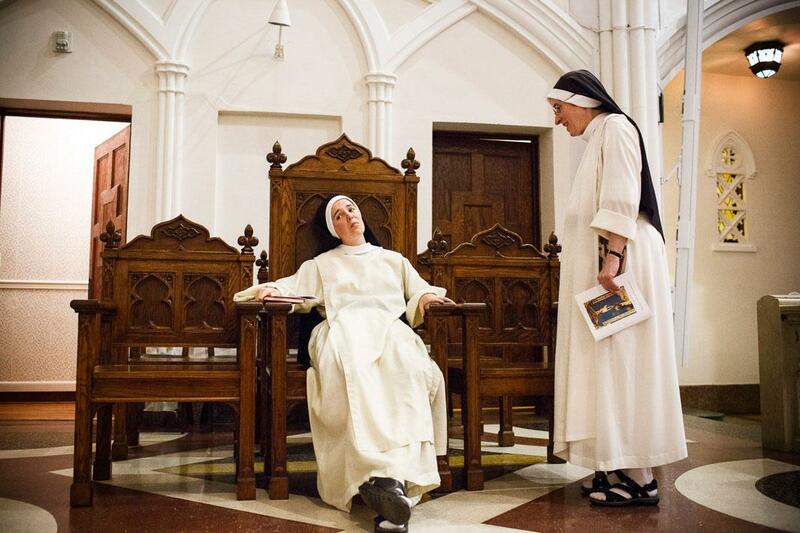 Sister Maria Teresa, 28, talks with Sister Mary Martin, Prioress, during preparations for Solemn Profession the next morning.